Looking BEAUTYful can sure take a long time, and let’s be honest most of us don’t have hours to get ready! But what if I told you, that some of the common makeup products have multiple uses, enabling you to take the minimalist approach to your makeup efforts! Awesome, right? Plus, it can help you save money, which is even better! So if you want to see how you can you can save time and money by using your makeup in multiple ways, continue reading! Use lipstick as a blush, concealer and the apparent, on your lips. Depending on the color, it can also be used on your eyes. While I don’t need to explain how to use your lipstick as a blush or as an eyeshadow. I’m sure you're wondering how you can use lipstick as a concealer?! Well, lipstick works wonders on getting rid of dark under eye circles. Keep in mind you can’t use any color of lipstick, you need consider your skin tone. 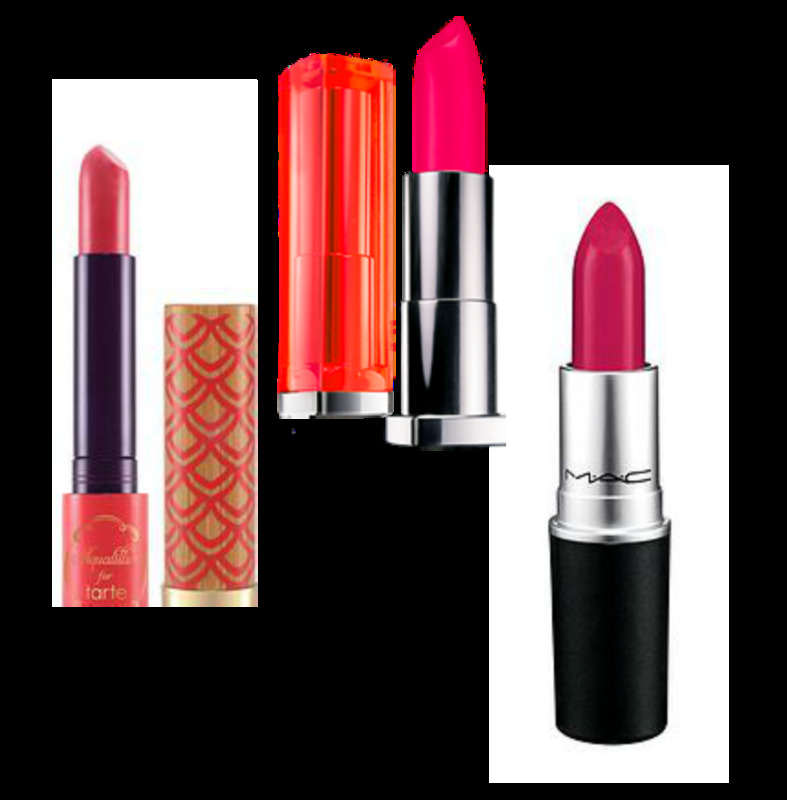 If you have darker skin, bright orange-red lipstick works best when trying to conceal. Why does this work? Think of a color wheel, where colors can neutralize each other. Dark circles usually appear as blue or green. Using a bright orange-red color, which is the opposite on a color wheel, helps to counteract the darkness, hence minimizing the appearance of dark circles. Using the color white near the inner corner of your eyes and your waterline, will give the illusion of larger eyes. You can also use a white eyeliner as an illuminator or a white eyeshadow for that extra pop. Another option would be as a highlighter that you would apply to the bridge of your nose and brow bone. Lastly, use it as a primer on your eyes, as this will make the eyeshadow colors bold and darker. Apply mascara to both your eyelashes and eyebrows, use as an eyeliner, as well as covering gray hairs. Use this bad boy as an eyeliner, brow liner, eyeshadow for a smokey eye look and to contour your nose (use brown for the nose). Eyeliner is also an excellent way to making your eyelashes appear thicker. (By applying some black eyeliner to the upper waterline). This one takes the cake! As you can use it as an eyeshadow, to contour, a lip color, a dry shampoo for lighter colored hair, a glow in your cheeks…And the best one for a bronzer is using it to make your eyelashes appear thicker. By dusting your lashes with it before applying your mascara. This will allow the mascara to adhere to the lashes, building thickness. Dusting bronzer over your lashes is an excellent DIY approach to the fiber formula mascaras! Just 90% cheaper! Depending on the color of the shadow, you can create a variety of looks with this one. Light colors: A highlighter to both your cheekbone and brow bone. So there you have it beauties, my minimalist guide to makeup! So remember next time you pack your beauty bag, make sure it contains some of these key makeup items, so you too can look BEAUTYful with minimal effort! Hi, I'm Barbie. I’ve always loved makeup, beauty, and fashion. And I am a D.I.Y. beauty guru. It started as a kid in the late 70’s when I tried out tricks like placing drops of glue on a window sill, waiting for them to harden so I could reform to make fake nails. Everyday, I am always trying to recreate or find new alternatives for things, that I don’t have access to at the time or couldn’t figure out what some would say, “the right way to do it." So I’ve mastered new ways, to get the same look, or a better look, than the original. Resulting in my giving a beauty guide to all things BEAUTYful by me, for you.